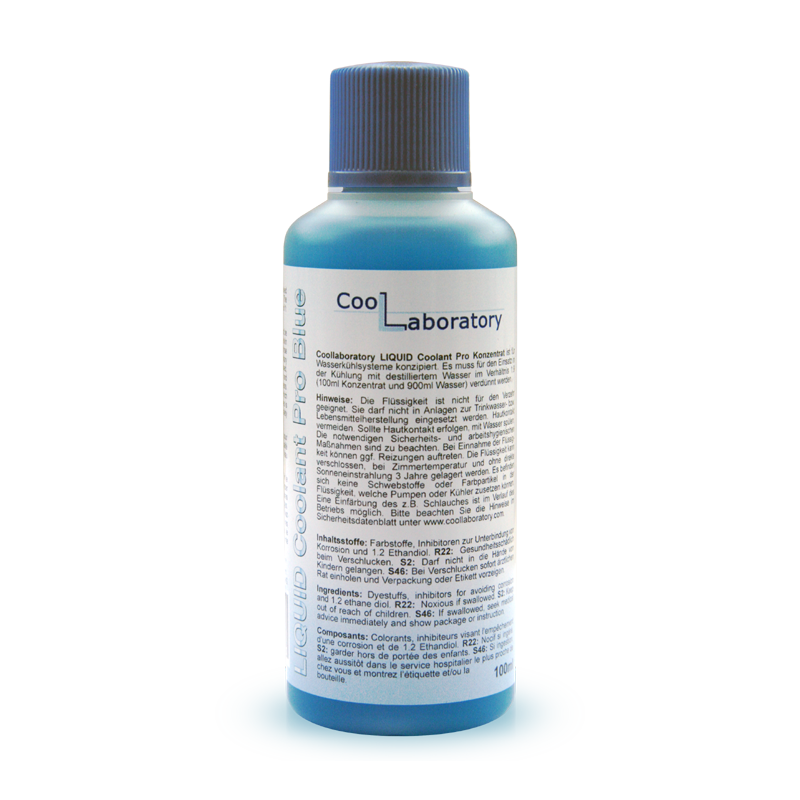 The CoollaboratoryLiquid Coolant Pro is the innovation of coolant for the use in water coolings of High-End PC systems! If it was recently only possible with few transparent coolants to protect the own water cooling efficiently, offers Coollaboratory with the new coolant a genuine Innovation. Coollaboratory succeeded it with the new product to unite the different advantages on the market available coolants in one product. The Coolant ensures an uncompromising long-term protection against corrosion for all blocked components. In contrast to other products not only when using copper and aluminum, but expressly also when using the mentioned and other metals in the mixing process. Like that it is no matter, whether the contact areas of the radiators are made of copper, aluminum, brass, nickel or steel, the corrosion protection is completely developed and extremely long-term stable within shortest time. 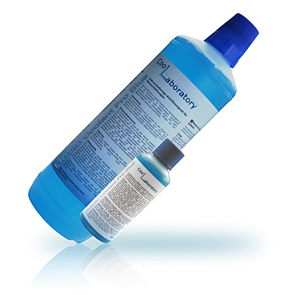 The coolant can be used problem-free over at least 24 months in the water cooling, whereas particularly inserted and co-ordinate inhibitors provide a perfect protection. Note: For a long-term use of the water cooling in connection with the Coollaboratory Liquid Coolant Pro is the use of PUR hoses misadvised. Due to its composition and high susceptibility, PUR hoses are not suitable opposite ethyl glycol and other chemicals. Recommendable are PE, PA, PTFE and PVC hoses, in particular can we recommend the hoses of the company innovatek OS GmbH (innovatek special hose – UV/PVC). These show also after very long service life no softening or dissolution features and are besides very flexibly applicable. 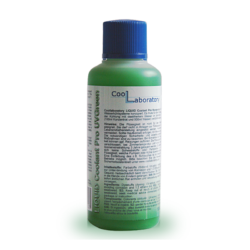 Coollaboratory Liquid Coolant Pro is here available as a concentrate with a content of 100ml, which has to be mixed at a ratio of 1:9 with distilled water and produced so the same performance and long-term effect as the finished mixture. Why is a corrosion protection needed? The water in the cooling gets into contact with different metals like for example copper and aluminum. If different metals in presence of an electrolyte (water) touch themselves, due to the different positions of the metals in the electro-chemical electromotive series, it gets round to flowing electric current. It forms a galvanic element, which destroys the more base metal. The occurred corrosion leads by-and-by to deposits, which can block the water cooling system inclusive radiators and pump and in last consequence it can lead to its breakdown and to the damage of the cooling and the computer. 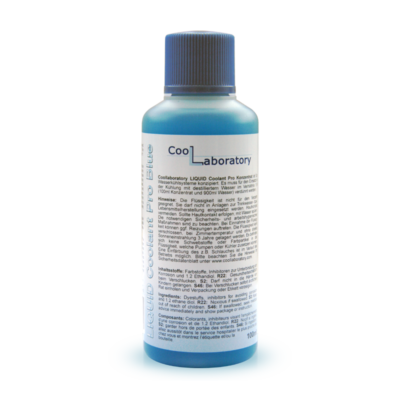 By the use of the Coollaboratory Liquid Coolant Pro this effect is prevented, as an extremely thin and durable protective layer is formed on the metals, which are in the cooling circuit. The electro-chemical corrosion is reduced within two hours by approx. 90% and within a day by more than 99%. After approximately two days no more measurable electro-chemical corrosion occurs and the water cooling is optimally protected.